We have been with ComSoft for almost 4 years, ever since we opened our doors for business. Everyone there is extremely friendly and helpful. I really enjoy talking to them and they always take care of whatever the problem is pretty fast. 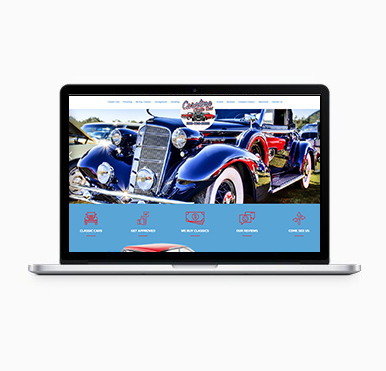 Rick's Auto Marketing Center has been using the ComSoft Dealership Management Software package for more than ten years now and their support staff have, from day one, become a very important part of our business. From tracking inventory, printing the deal paperwork, and tracking my customers there is no way my dealership could maximize its profitability in today's marketplace without their assistance. ComSoft was introduced to me in 2001 by a Columbia, SC dealer who had been using them for a long time. When I was exposed to the program, I found it very easy to navigate and provided me all the tools and solutions that I required in my own dealership. The staff at ComSoft EXCEEDS all of my expectations of service. Whenever I call, I get immediate answers as well as technical support in a short amount of time, and it makes all the difference. I give ComSoft 5 STARS … for training, support, and product performance. Lenders routinely compliment us on the completeness and accuracy of our paperwork. If there are any prospective dealers who want to know how easy it really is, please do not hesitate to call Michael at Automotive 360, Inc. When we opened our dealership, we had no idea of what software to go with (especially coming from a franchise dealership), but in our pre-licensing class, we met Mr. Cooper and he explained the software features and benefits in depth and offered us a trial period to experience it firsthand. Lesa, our trainer, went to great lengths to explain how the software works and continues to offer us excellent phone support. We cannot say enough about ComSoft and we are blessed to have them on our side. We give them a 5 Star rating! even the ‘computer illiterate’ can use this! It is the best we’ve used in the past twenty years! Everyone at Commercial Software has been great, and easy to work with. I would highly recommend Commercial Software to every independent car dealer! I switched to Comsoft Monymaker several months ago. I was very hesitant to switch from my former software provider, but circumstances forced me to do so. I should have switched to ComSoft long ago. The purchase process was easy, the set-up & installation was a breeze, and the technical support is excellent. It used to take me 20 minutes to complete a deal, now it takes about 5. I was commenting to a friend not too long ago that this is one program obviously written by people who have been around, and understand the car business, because it is so user friendly. Great software for a dealership and incredible service/assistance from Amy via remote support whenever I need help! Commercial Software, Inc. (ComSoft) was established in 1971 after its founder, Barry Cooper, realized the need for dealerships to accurately compute and disclose interest rates, monthly payments, and factor in credit life and disability premiums, among other charges, prior to customers signing a retail installment sales contract. 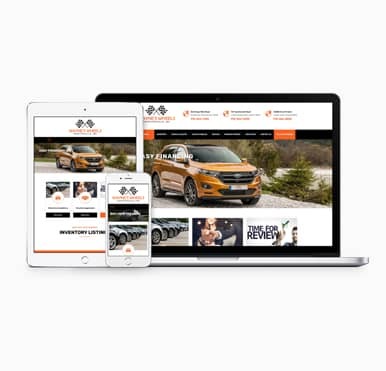 Over the years, ComSoft has evolved into a Total Dealership Management and Marketing Software Solution for dealers of any size and has served thousands of dealerships just like yours! 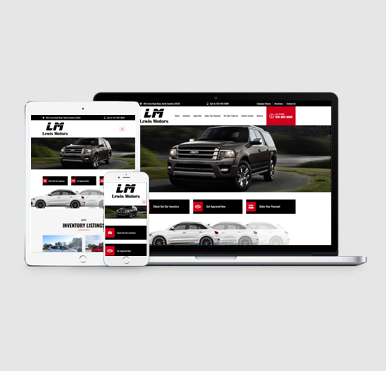 In addition to software comprised of different modules, we also offer dealership websites, marketing feeds, integrated partners, and a mobile app. Although many years have passed since our inception, our dedication to customer service, listening to our customers needs, embracing technology, and offering products and services at a fair price to help dealers minimize risk hasn't changed. Feel free to contact us for a free, no obligation test drive of our software for your dealership.